However, the process of Rebonding & Smoothening is not something easy. It will take you more than ten years for the hair to look so special. With the application of the process we promise to give the hair the best volume ever. Now, the hair is made to look so bouncy and healthy. In case, you have doubt about the process you can sit to have a talk with us. We will help you sort out the problem and now you can go for hair rebonding with the best of conviction. Here, we are to explain you about all things in the specific genre. First, we will tell that how the hair gets straight with the application of the method. Before going for hair straightening we will also take the responsibility to inform you regarding the cons of the method along with the pros. It is not enough for the straightening to happen. You have to take the best care of the hair after that. We will tell you how to do that and which products to use in order to maintain the shine of the hair. Rebonding & Smoothening are two different concepts and we will talk about both in terms of similarity and disparity. 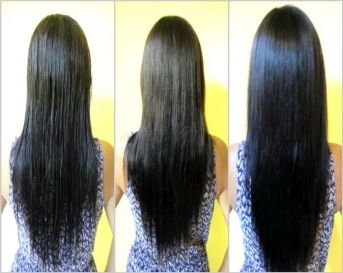 In case, if the quality of the hair is not satisfactory it will not be best to go for hair straightening. We use chemicals in the process and this can further damage the quality of the hair.